The Deda Mistral Bar Tape, a new tape is born: skin-like, finely perforated and really personalised. It features a mix of elegance and quality signed Deda. I ordered a couple different bar tapes from probikekit.ca. Decent price, cheaper than other places I found online. This isn't my first order with probikekit.ca, but is the first time I got charged duty upon delivery. Duty costs negated any savings on the bar tape itself. The bar tape itself is OK at best. Not very plush, I was using lizardskins before and the lizardskin product was much much more cushiony. Lizardskin was not available online at the time I sent this order in. 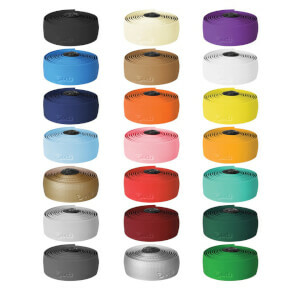 This tape will work, but be prepared for an extra cost upon delivery. Fluorescent yellow and fluorescent orange look fantastic. It's not a foam/cork tape, so don't expect that! Bought this tape in hi viz yellow to be different, and to be seen! As usual, Probikekit came up trumps on best price, great postage times and quality of the products. 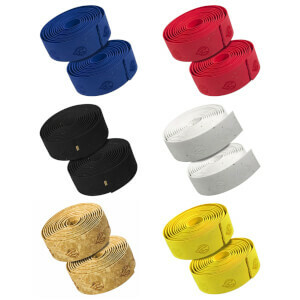 A good quality bar tape. Goes on nice and easy. Can be pulled tight without fear of breaking. Allows some repositioning. Nice and thick, but not overly so. Feels comfortable in use. Bar end plugs could be a little better than just black plastic.